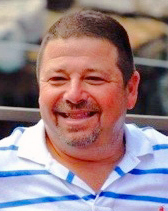 Mark David Gilbert, 54, of Old Bridge, passed away suddenly on Saturday, January 19, 2019 at his home. Born in Brooklyn, New York, Mark was raised in and was a lifelong resident of Old Bridge. He was a landscaper and jack of all trades. He grew up loving baseball, especially the New York Yankees. He loved to fish and was an avid outdoorsman. Most of all he cherished family time. Mark was always there to help everyone and he always had a smile on his face. He was well known for his sense of humor and for his jokes. Above all, he was a loving husband, father, grandfather, brother, uncle, and friend. Predeceased by his parents, Ray and Rochelle, he is survived by his wife of 31 years, Kathleen; his children, Travis, Jessica, and Samantha Kitchen, her husband Justin, and his two grandchildren Baine and Myles; his sister Beth Gilbert Kalt, brother-in-law Robert, and niece Rebecca; and his sister Shari Gilbert-Dean, brother-in-law Kevin, and nephew Harrison. The family will receive friends on Friday from 11:00 AM to 1:00 PM immediately followed by memorial prayers at our affiliate Funeral Home, Beth Israel Memorial Chapel, 475 Main Street, Spotswood. Disposition is private. Donations honoring Mark's memory should be made to the American Heart Association at www.heart.org.